Dandelyan's signature Wyld Tea is back, and it's better than ever. 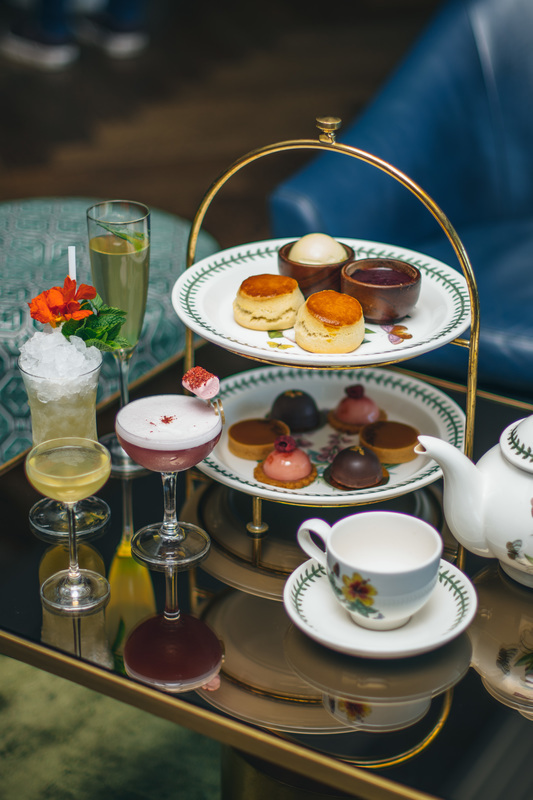 In keeping with the experimental nature for which the bar is known, Wyld Tea 2.0 is a nod to the traditions of afternoon tea, updated for the modern palate and served with specially created botanical cocktails from Ryan ‘Mr. Lyan’ Chetiyawardana. 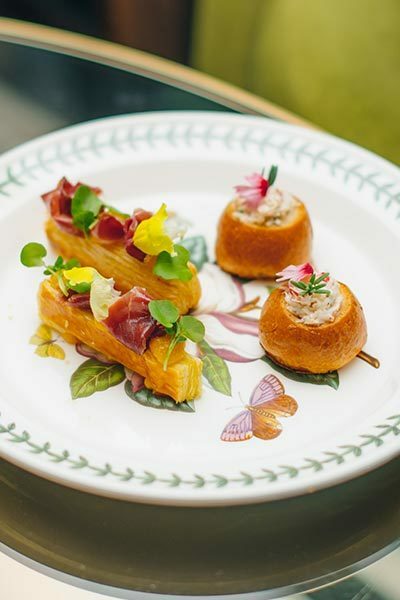 Each course unfolds a tale from the colourful world of cocktails into the wonderful world of tea and scones, complete with a boozy twist, while channelling our current ethos - ‘The Modern Life of Plants’. Set against the background of the Tom Dixon designed bar, Wyld Tea 2.0 will be served on Portmerion Botanical Plates (a reference to Mama Chet’s serviceware) with a menu that provides a healthy dose of seventies kitsch, in a nod to the original Platner designed Sea Containers building. Cheers to an afternoon well spent with a Barcardi, plum, peach, elderflower and bubbles, before enjoying an array of mouth-watering savoury dishes such as the gimlet compressed cucumber and herbed goat's cheese brioche or the curaçao smoked duck, miso and parmesan croute. Not forgetting to cleanse your palate with a passion fruit and sea buckthorn cocktail made with Bombay Saphire. Next up, it's scone time. Sit and savour plain scones, topped with clotted cream and grape and sherry jam, followed by a chocolate farm, made with Dandelyan's chocolate vermouth, pink peppercorn and prosecco. Of course, afternoon tea wouldn't be complete without cake. In a nod to the glorious tea times of the 70's, sweet treats include Earl Grey vermouth custard tart, mint choc scotch tea cake, french martini blancmange. #DandelyanWyldTea is served Thursday to Sunday from 12pm-4pm. The full Afternoon Tea is £58 per person with a Boozeless Option for £38. 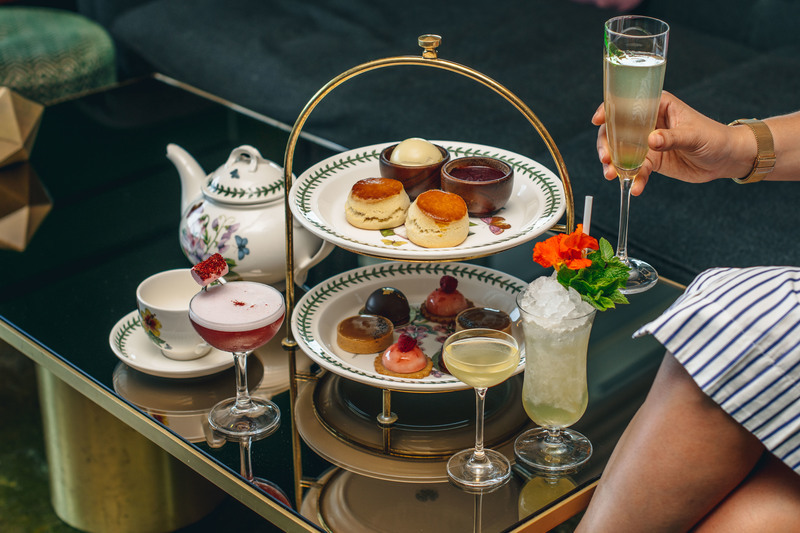 Those fond of the bubbly will rejoice in our Champagne Tea, which includes scrumptious botanical afternoon tea sandwiches, delightful cakes, a glass of Laurent-Perrier Champagne and a selection of loose-leaf teas for £48. Does Dandelyan Wyld Tea tickle your fancy? To find out more and make a booking, visit us here.